Wheat Chakli – Air Fryer Recipe is a crispy and healthy snack for all. 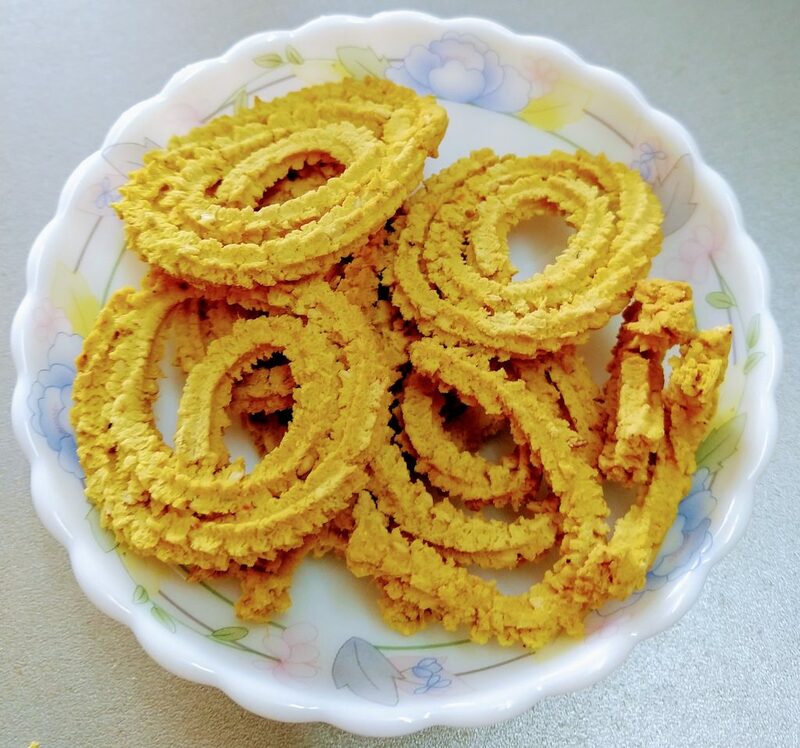 Wheat Chakli – Air Fryer Recipe is a famous snack item popular with different names all over India. You can call it as a chakli or chakri or chakkuli or chakralu or jantikalu or murukku. This recipe uses whole wheat flour, some spices and curd. This is an instant version of the dish and is very healthy as these are made in the air fryer. This is very easy to prepare with less oil but tastes yummilicious. Rather than frying the chakli, you can easily make it in the air fryer. This can be a tea-time snack or a snack for festivals like Diwali, Holi. So, try to make this delicious version and enjoy with your family. Do not avoid yogurt or curd. It will enhance the taste of chakli. In a muslin cloth put wheat flour and tie it. In a steamer steam it for 20 minutes. The flour will become hard. Once done, take out from steamer. Let it cool for 5 minutes. Crush it. Transfer it to bowl. Add all the ingredients and make a soft dough using water. Make chaklis using Chakli maker. Brush with oil. Place the chaklis in preheated air fryer for 8 minutes at 180 degrees Celsius. Yummy 'Wheat Chakli' is ready to be served.